The following 2 prints are from Kelsey Wittenbach (right) and Taylor Zagrzebski (below). Both of these prints are based on the organized through the group Grand Rapids for Animals. Grand Rapids for Animals is a more recent attempt by people in West Michigan to organize in support of animal rights or animal liberation. 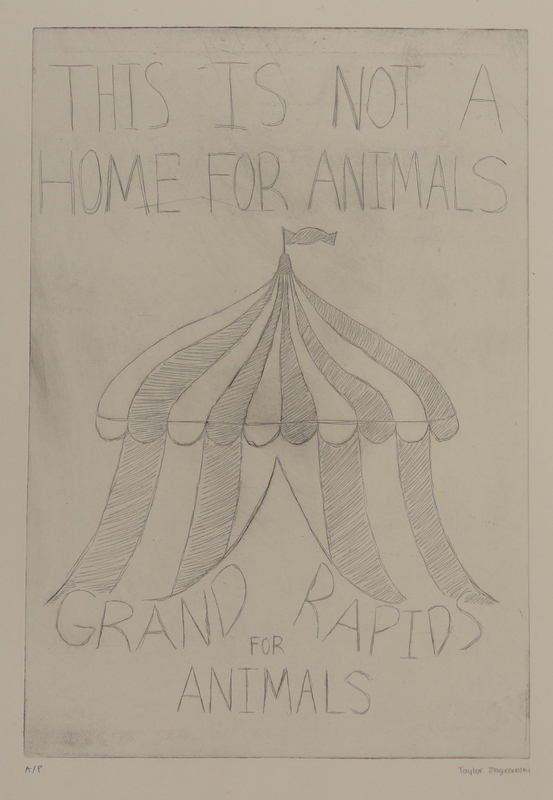 Grand Rapids for Animals has focused primarily on doing educational work and awareness building by protesting the circus when it comes to GR and sometimes around puppy mills and other animal welfare activism. In the late 1980s and part of the 1990s, there was a group called West Michigan for Animals, which also focus on education, awareness building, but also more direct action at fur stores, slaughter houses and rodeos. West Michigan for Animals used street theater and other non-violent tactics to get their message across. In the early 1990s, some members of the group wanted to do more direct action, especially around animal liberation, but these tensions eventually led to the group disbanding by the late 1990s. 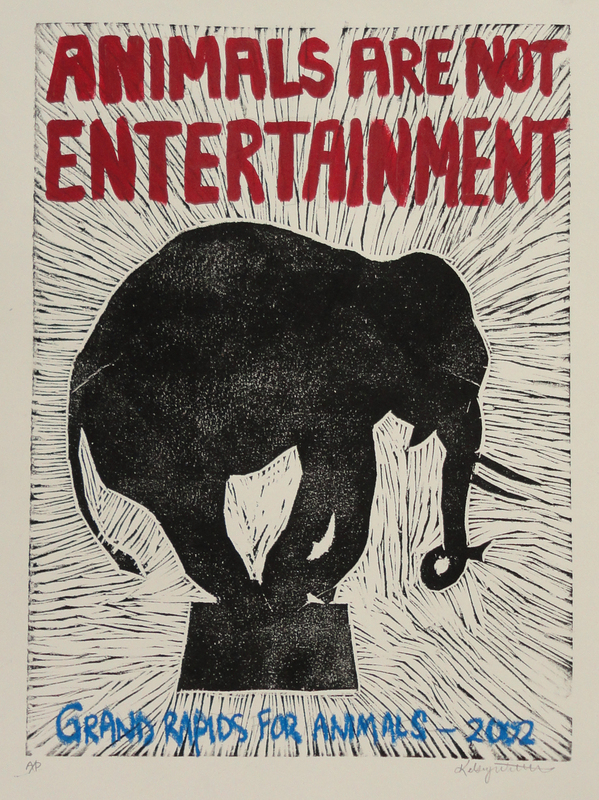 This entry was posted in Animal Rights/Animal Liberation, People's History Artwork and tagged animal rights movement in Grand Rapids, animal rights organizing in Grand Rapids, animal welfare or animal liberation, Grand Rapids for Animals, protesting the circus. Bookmark the permalink.